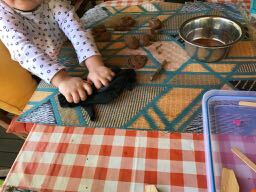 Two and a half year old enjoying clay pressing with her fingers to create patterns. Simple clay models made with terracotta clay. 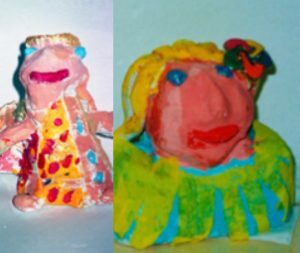 Clay modelling is very popular with young children. 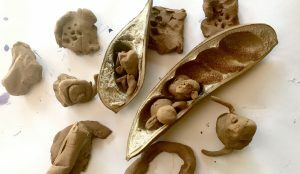 Terracotta clay is perfect for children to start clay modelling. Experimenting with clay is an important introduction to art in three dimensions. 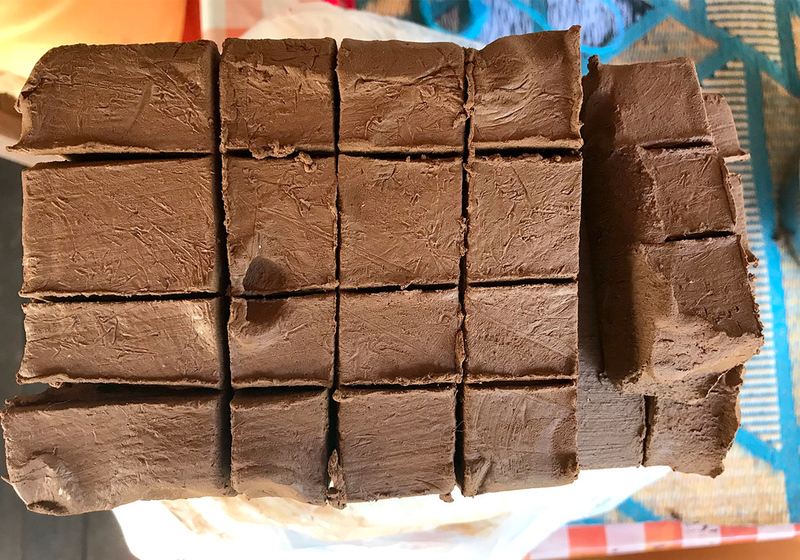 Terracotta clay is the best clay for young children to experiment and to make. 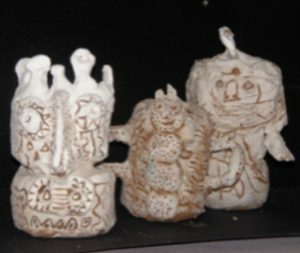 Children will spend time finding out what they can do with clay. As they progress in their experiments teachers can help them to advance step by step by showing technique. Clay should be moist and soft before dispensing it to students. 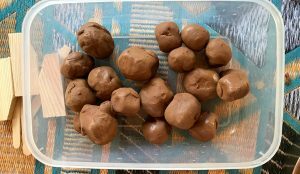 Small cubes/balls of clay are the best way to set up clay at the clay modelling centre. A medium size plastic container with a lid is best to keep the prepared clay. A clean wet rag on top will keep the clay moist and soft. Any leftover clay can be stored back in the plastic container for the next day. It is very important to check the state of the clay after a week as it could develop mould. Mouldy clay should be thrown away. 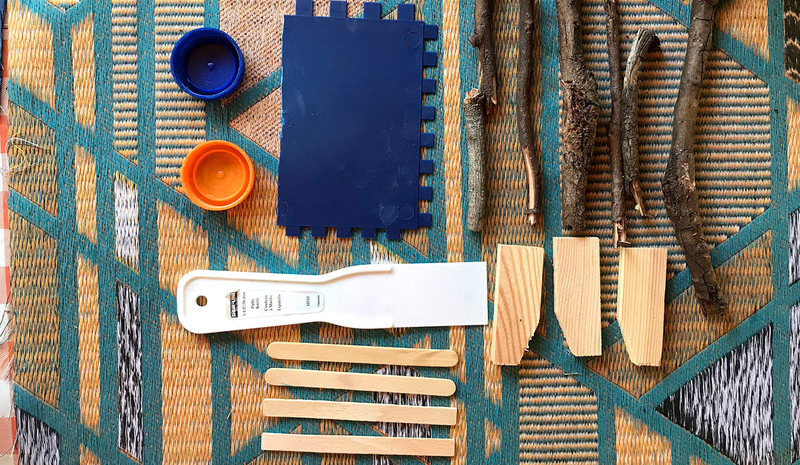 Tools should be simple and safe like paddle pop sticks, short garden sticks, small seed pods to create textures, plastic texture combs, plastic bottle tops and the traditional clay modelling tools made of plastic. Additional equipment: A piece of thick cushion fabric or vinyl to set up a good working surface is important as clay won’t stick on these materials. 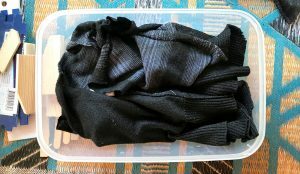 A wet cotton rag or a small piece of an old towel for each child to wipe their fingers. Water should be used only after the students have learnt how to add small bits of water to the clay to join pieces. 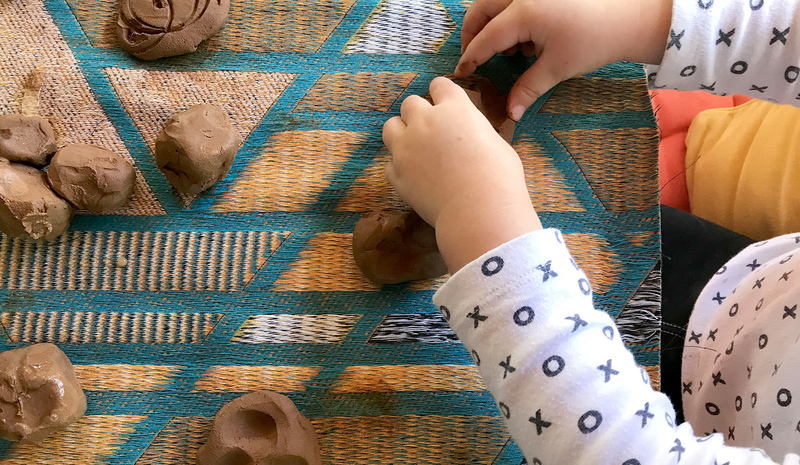 When children first start manipulating clay they will discover many different things they can do with it.Pounding: it is a fun thing to do, by pounding a ball of clay children will discover that it will change into a flat piece similar to a pizza formation. 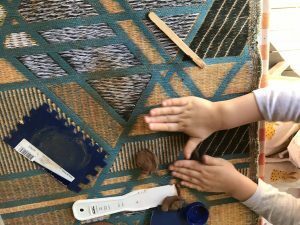 Pressing: children will first press with their fingers and then will use simple tools as sticks, paddle pop sticks and other things like plastic forks and seed pods for example. Pinching: by pinching clay children will form small bits like leaves for a tree, details like a nose, ears, and hair for a head? 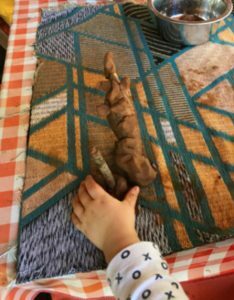 Rolling: by rolling a piece of clay children will make snakes, sausages, nests and whatever their imagination dictates. 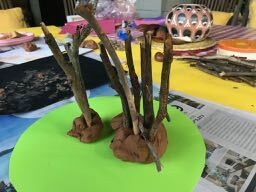 It is important at some stage to provide children with visual references to help them to develop their more complex projects like for instance, making a standing figure. 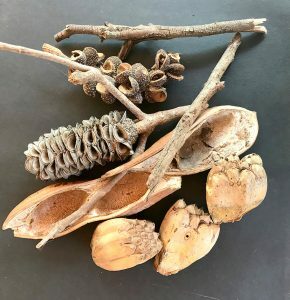 Small figurines of people, animals, toys, things from nature like leaves, seed pods, short sticks, flowers, shells or pictures found on the IPad. Post cards with interesting pictures of horses, cats, birds, trees, cars, dolls etc. This video would be for students 5 years and over, but it can be adjusted to younger children. The procedure is an interesting visual experience for young children to follow. This video is an interesting video for young children to watch. 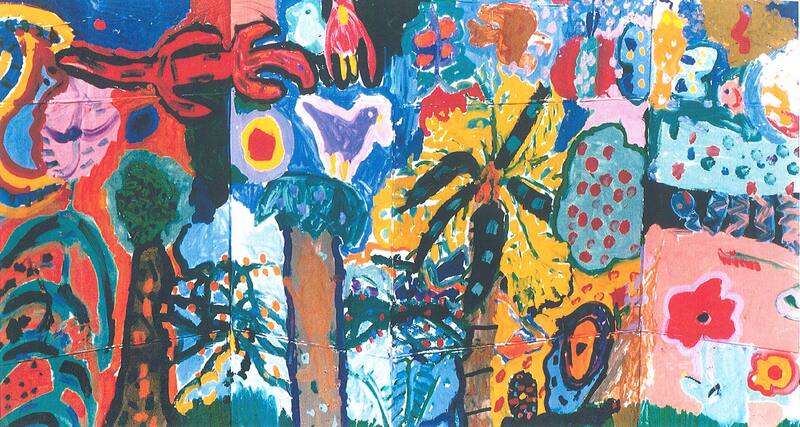 They can create many different characters, like animals, birds, people, tress and many more using the same process. For young children, this video can be presented step by step.